Jean has been in the real estate profession for over 30 years. Many of those years were in new home sales working for top national builders such as Toll Brothers, Richmond American and The Artery Organization. Upon moving back to the Albany area in 2001, she joined Prudential Manor Homes, Realtors. 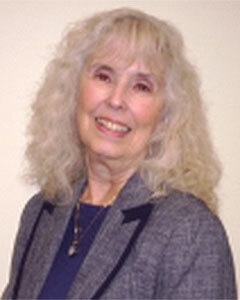 Jean has garnered several awards for her accomplishments and enjoys working with both buyers and sellers. She is dedicated to her clients and wants to share her enthusiasm, knowledge and integrity by getting the job done and making their experience one they will want to share with friends and family. Due to this, much of her business is now being derived from referrals. Her work ethics include always answering your phone calls and emails promptly, providing you with information needed to make informed decisions regarding your purchase or sale, and being committed to exceptional service. Jean has achieved the designation of Accredited Buyer Representative and is a member of REBAC (Real Estate Buyer Agency Council). She is also a member of the Bethlehem Business Women’s Club, Albany Chamber of Commerce and the Executive Women’s Golf Association.